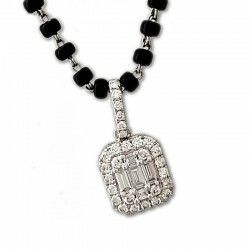 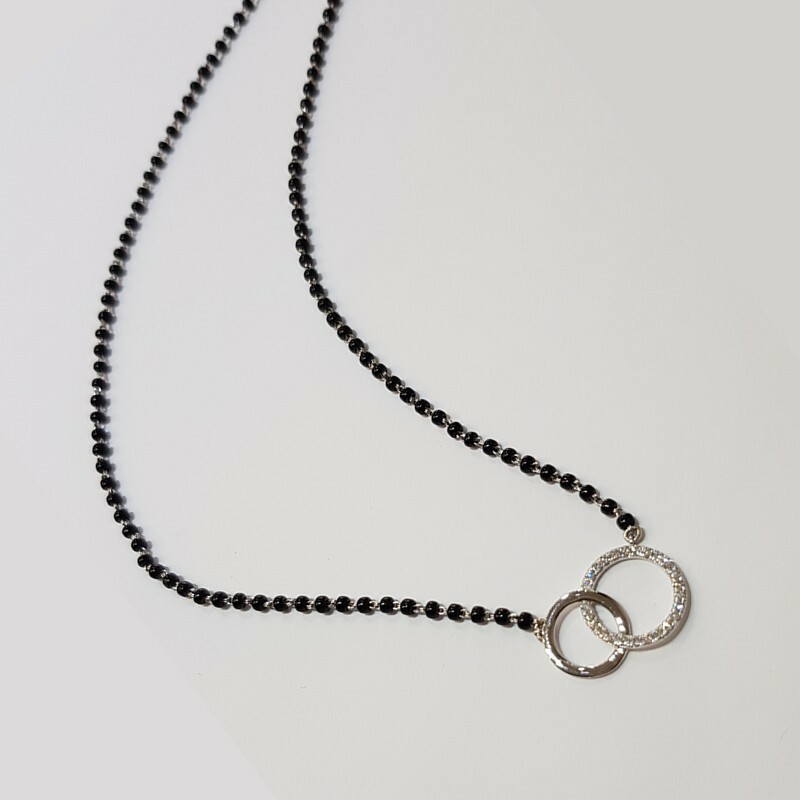 This mangalsutra is part of our diamond collection and features an 18ct White Gold mangalsutra necklace with a diamond pendant. 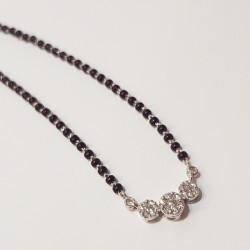 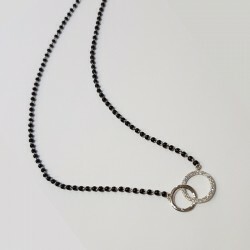 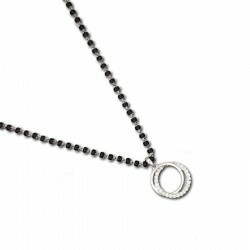 The Pendant has a ultra modern style which encompasses to circles interlinked like "2 souls becoming 1"! Being set in white gold it has a versatile look that fits perfectly with both western and eastern styles and is simple enough to be worn everyday!